Enough of looking at the world from one single angle, by the way your in house entertainment i.e. television has also gone 3 dimensional. You must have thought of flying like a bird but have you ever imagined how it must feel to watch an area from bird’s view, now you have a chance of a lifetime to experience it. 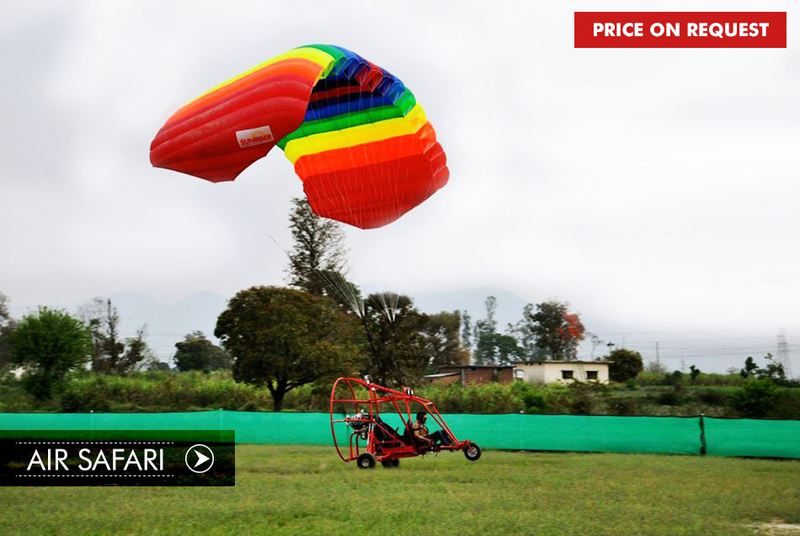 Air Safari, is self-driven plane ride where tourist can hover above and get an aerial view of the entire forest area. Note : Your flight will start from Bagdara village to operational area. It’ll be a 30 minutes flight in which you’ll cover around 10 Kms. Feel your wings during your Air safari.